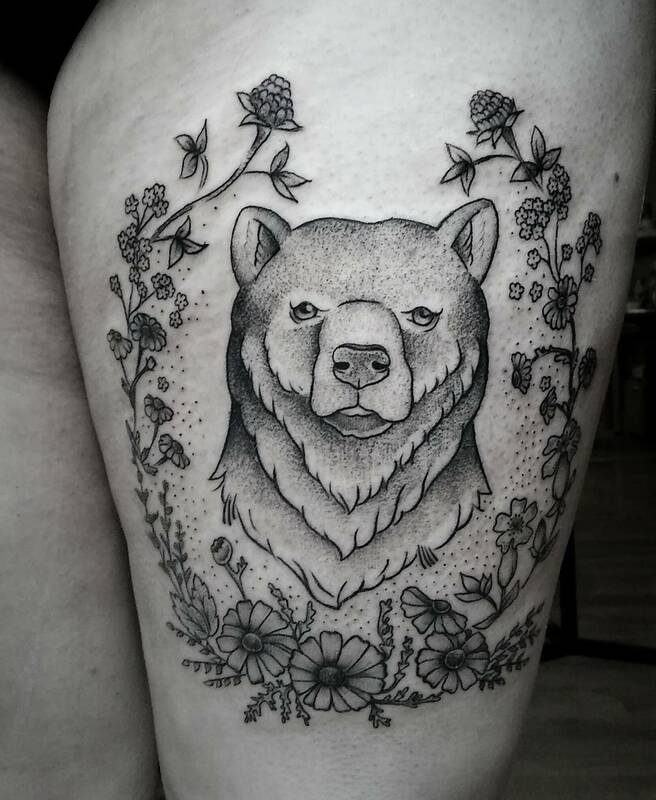 Bear is one such animal which holds varied nature. 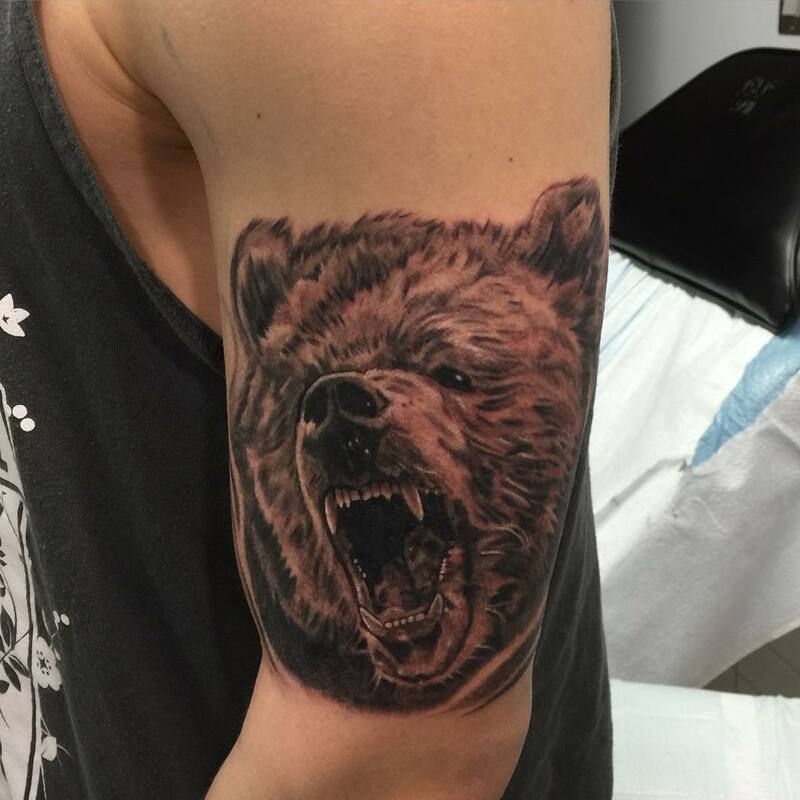 Bear can be scary, dangerous and on another hand can be cute and soft. 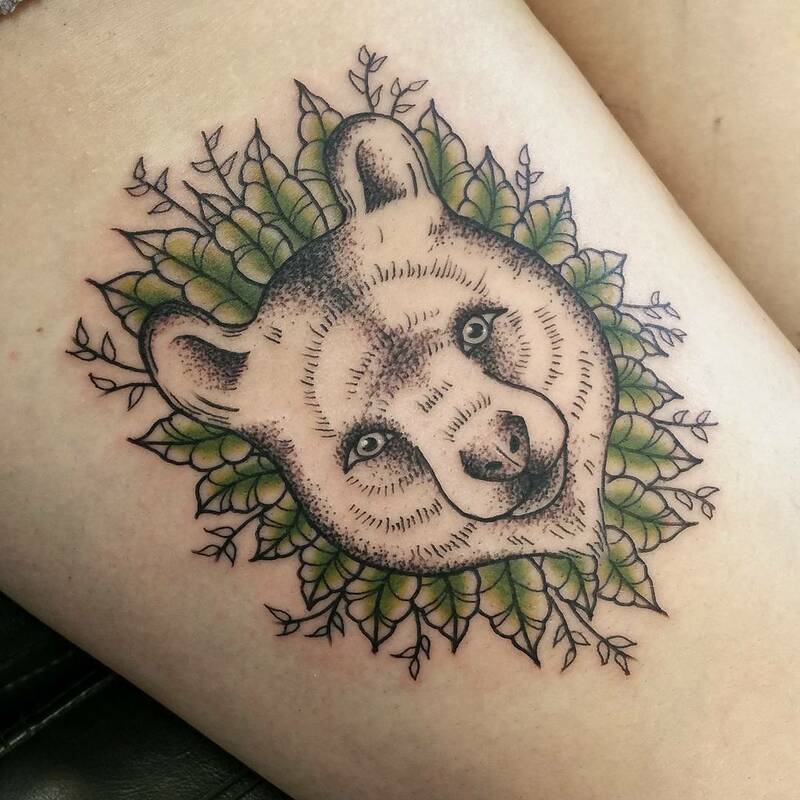 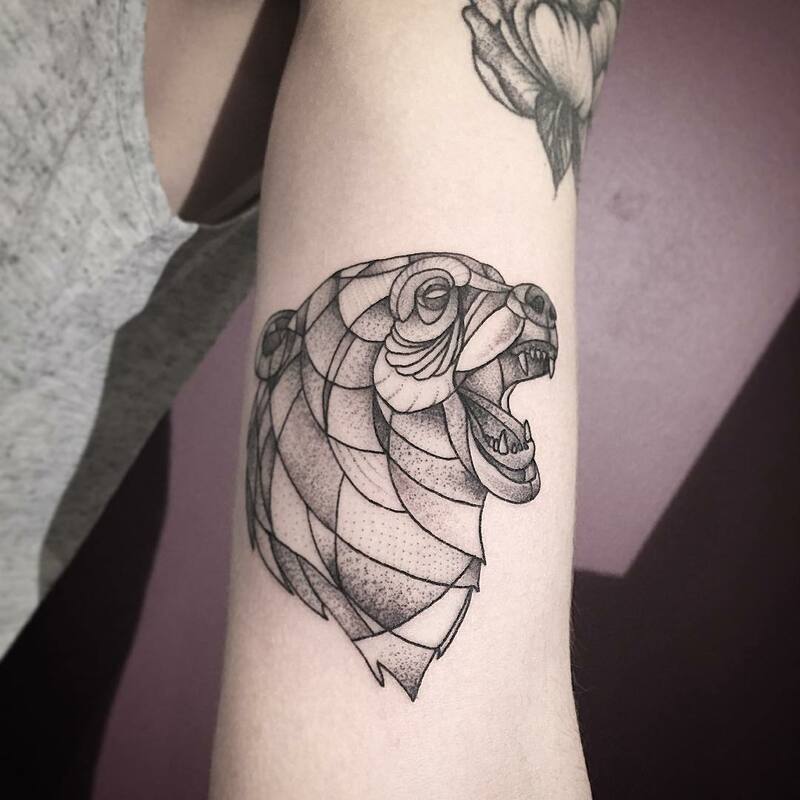 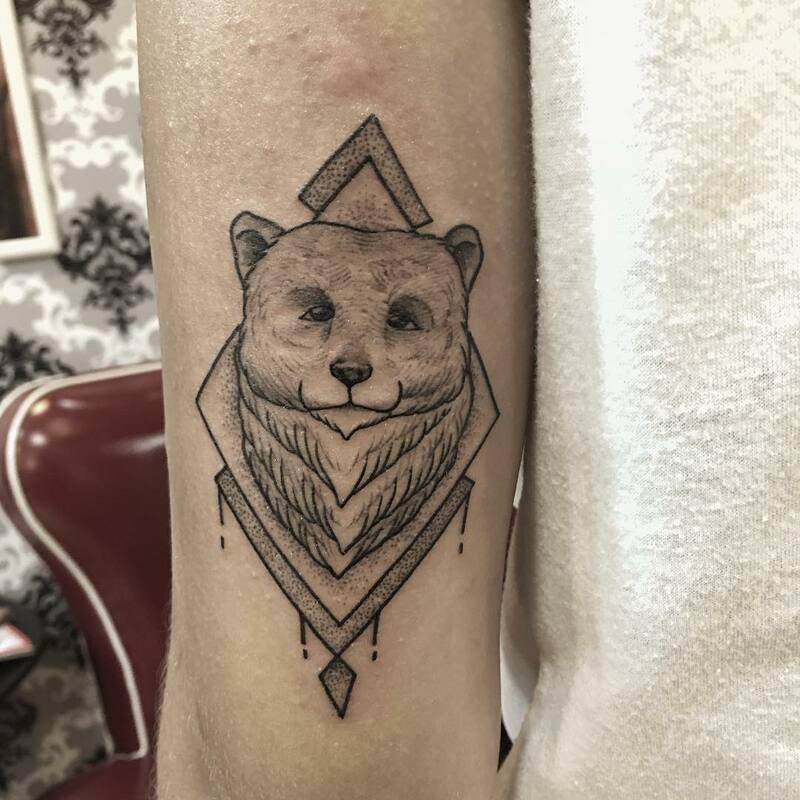 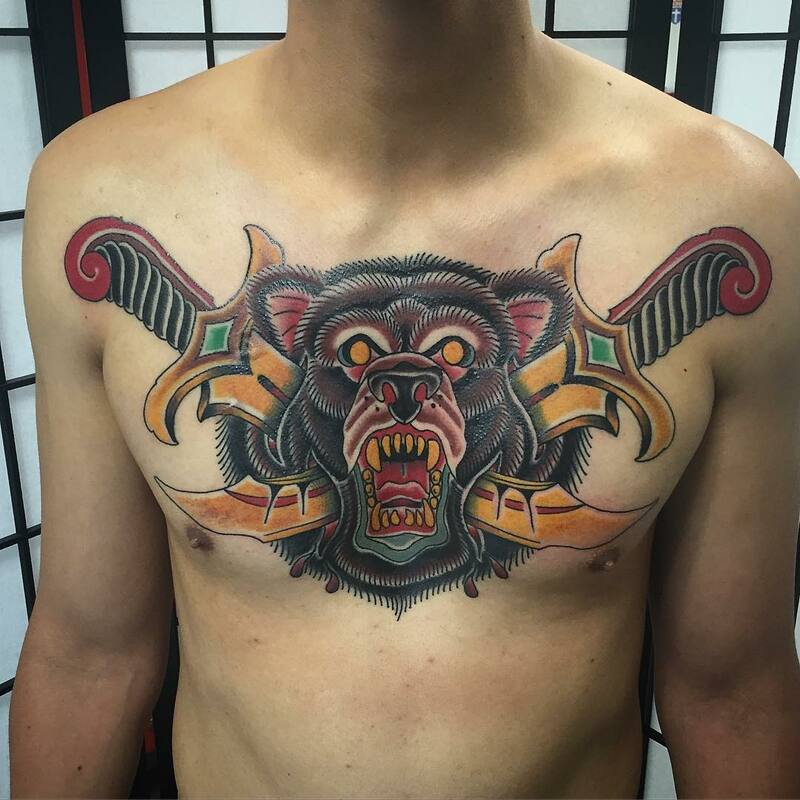 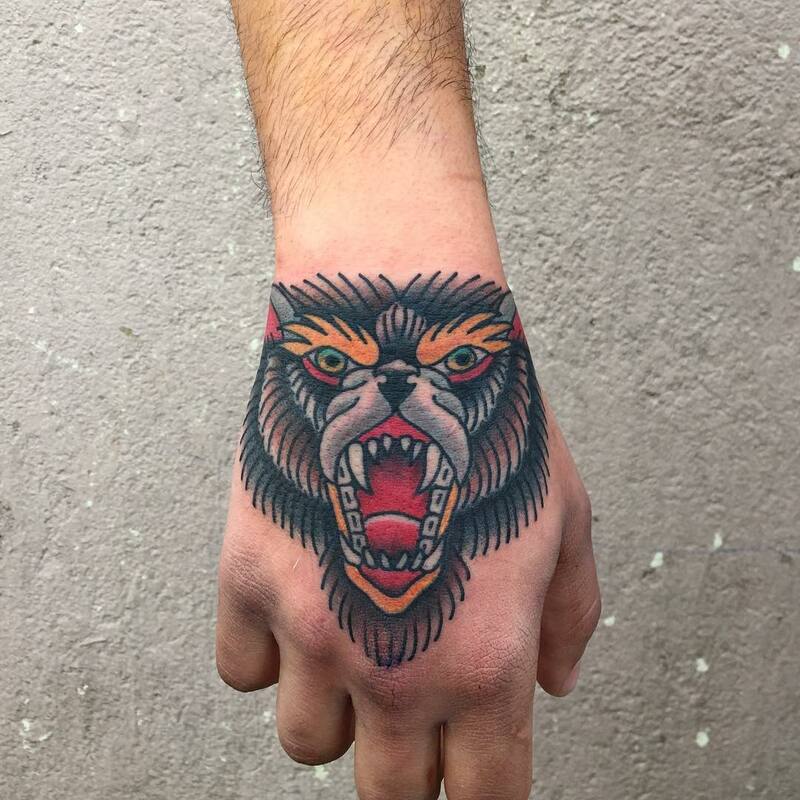 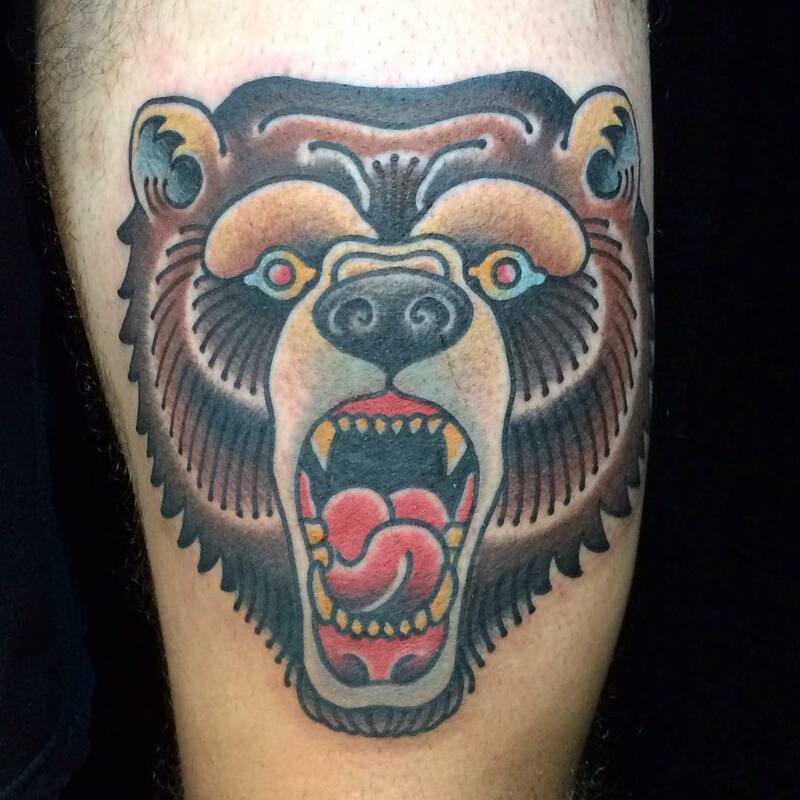 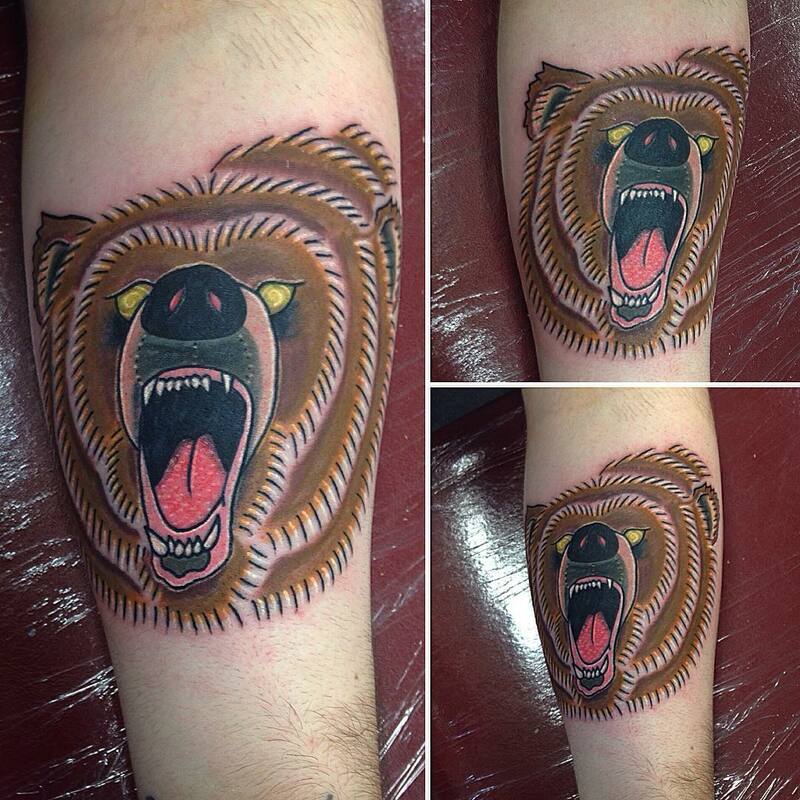 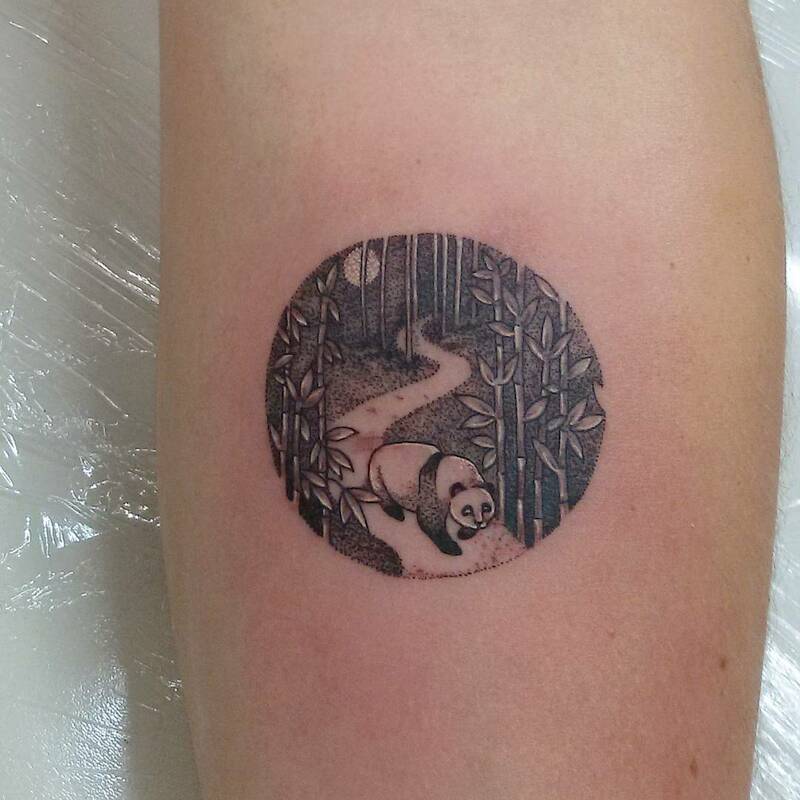 Bear designs have been famous in the world of tattoo from a long time. 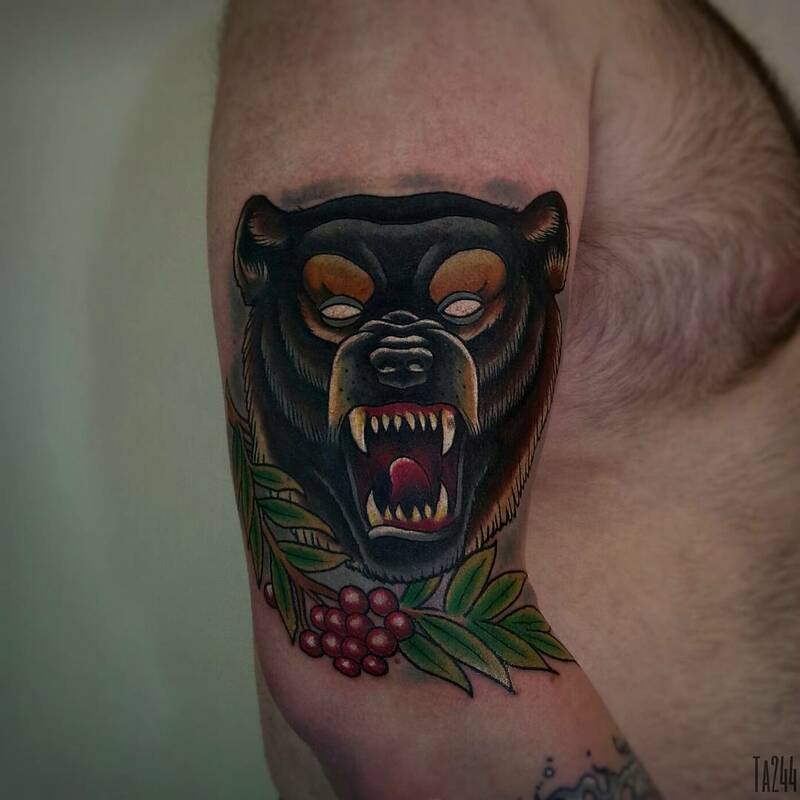 Huge beast-like bear and teddy bear tattoo designs are popular in basic forms. 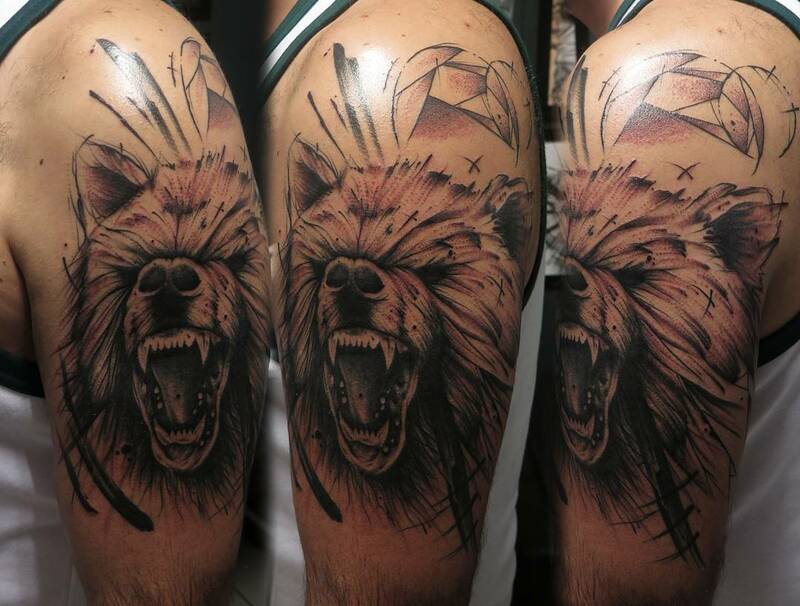 People are choosing tattoo designs more consciously now which suits their personality. 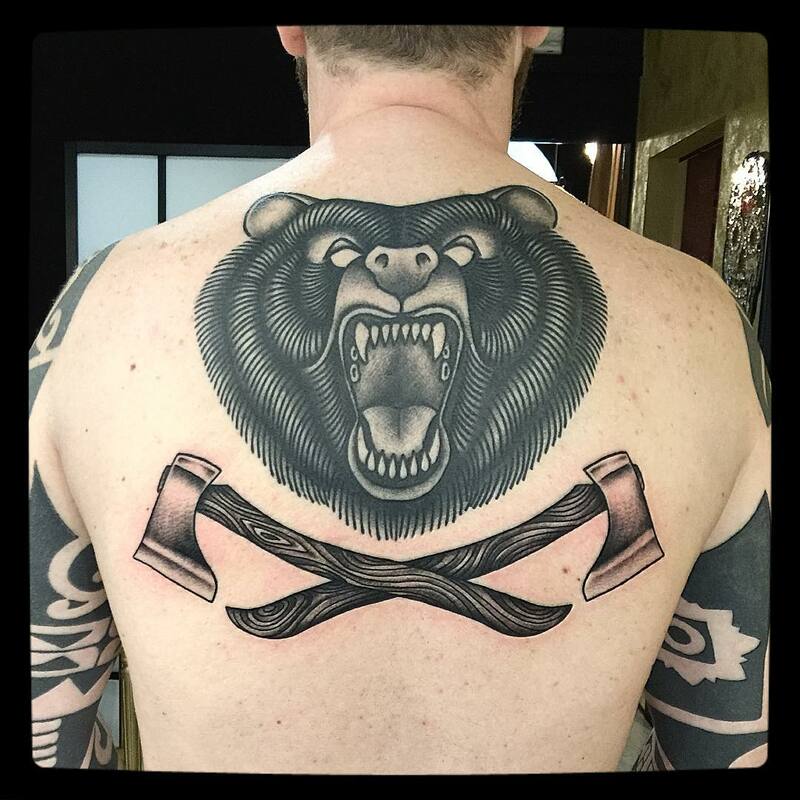 Bear tattoo designs are worn by men to showcase their stronger personality or boost their large body. 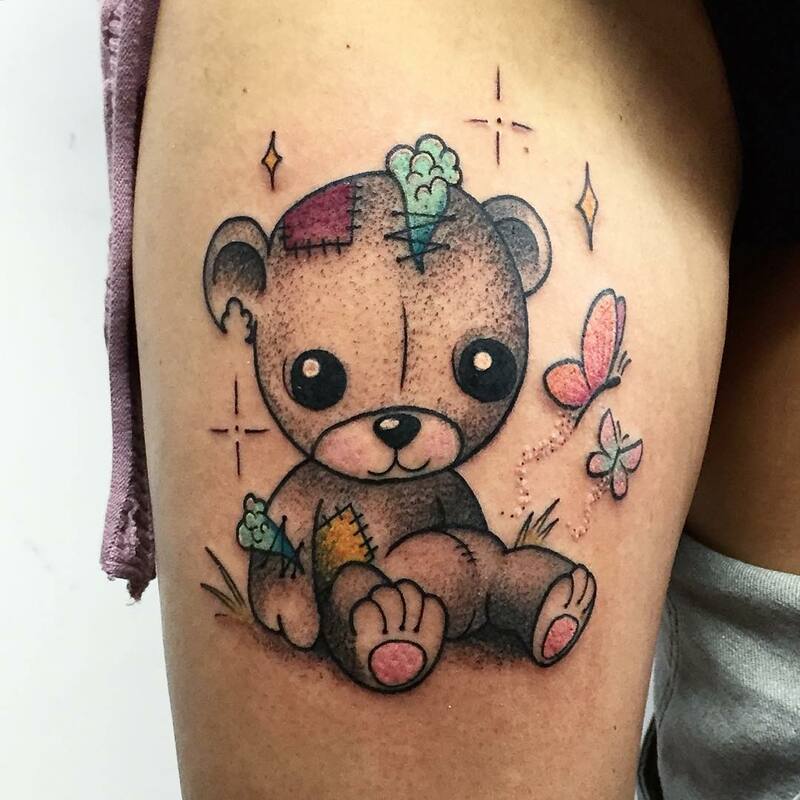 Teddy bear designs which resemble soft toys are popular with women as they showcase a soft and beautiful side of the bear. 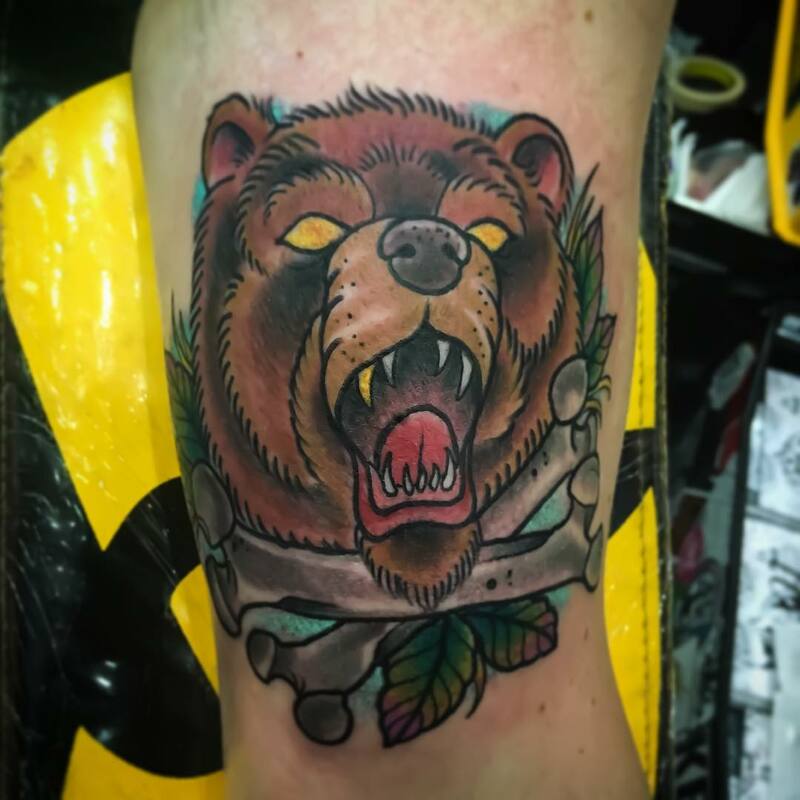 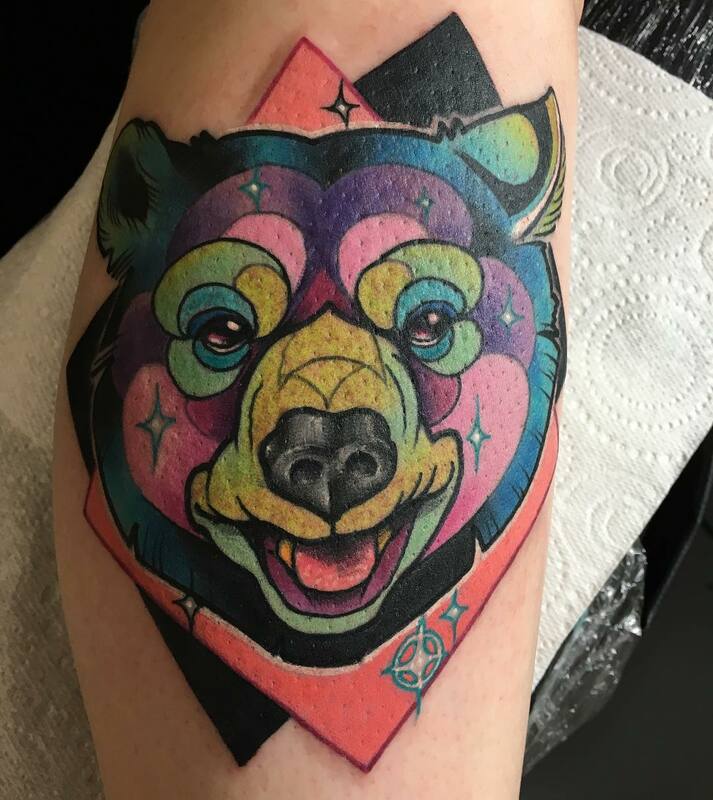 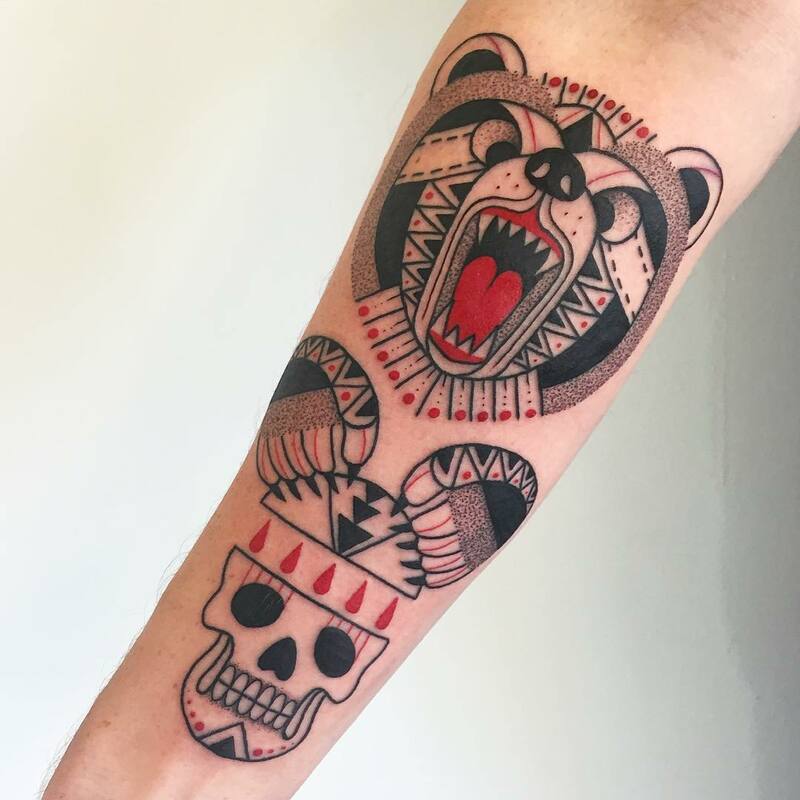 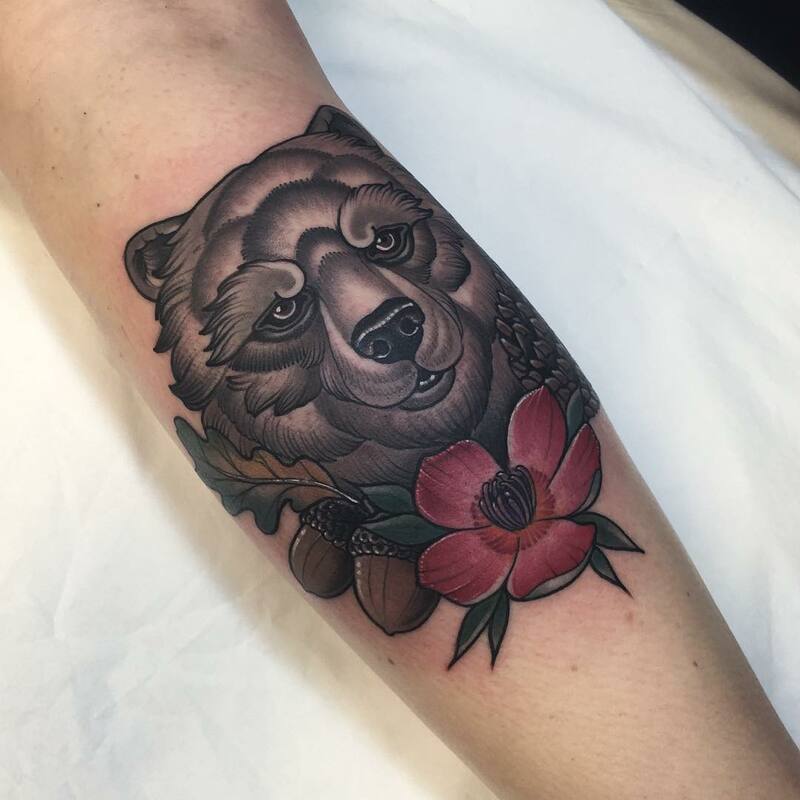 Famous bear designs in tattoo world are a beast-like bear with sharp teeth and dark colours, black out bear design, warrior bear, bear in a jungle, outlined soft bear with love message, and a teddy bear with flowers etc. 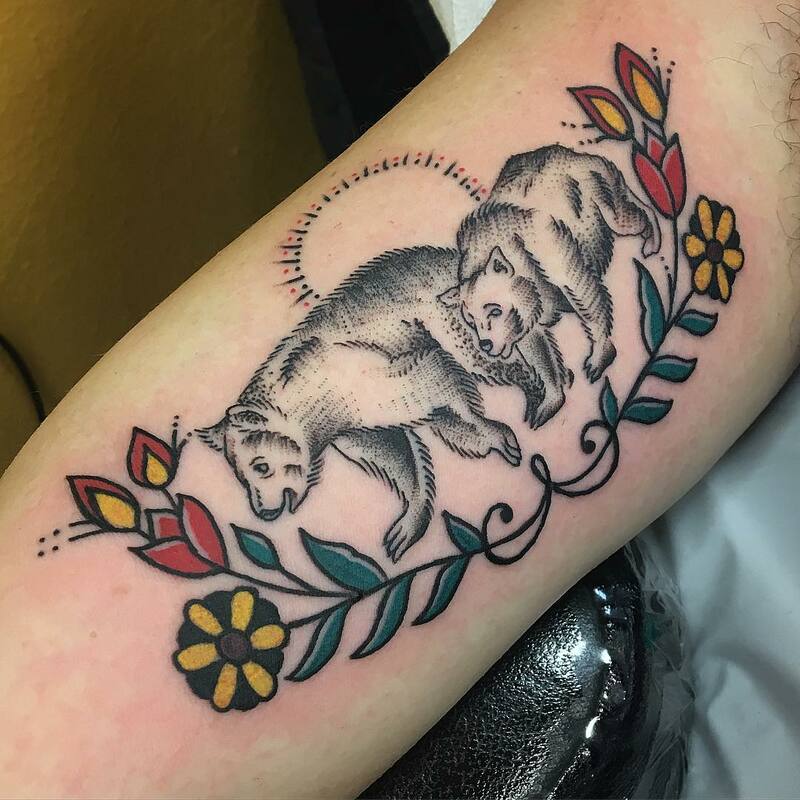 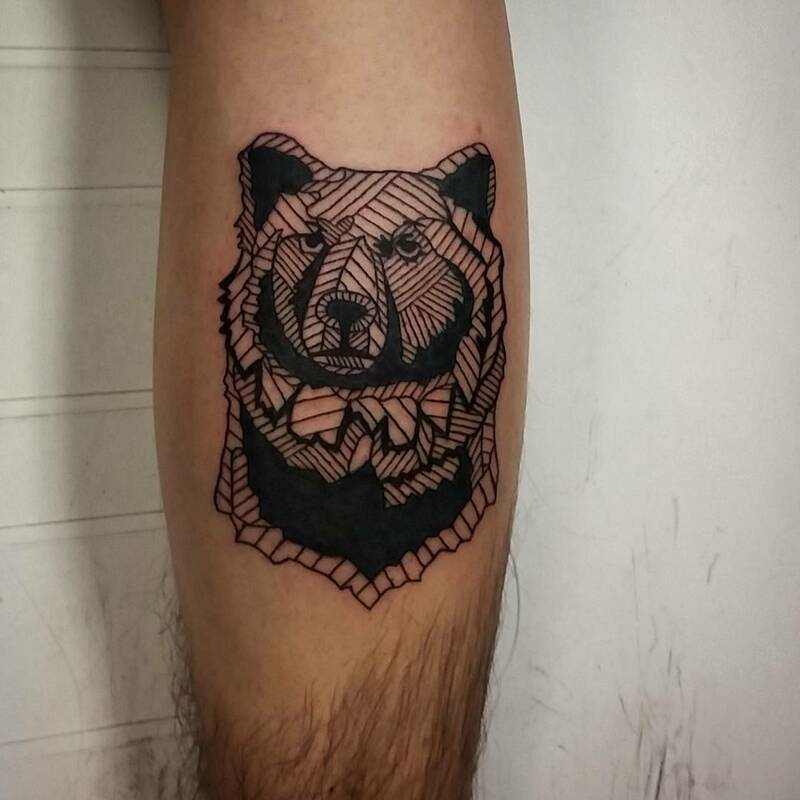 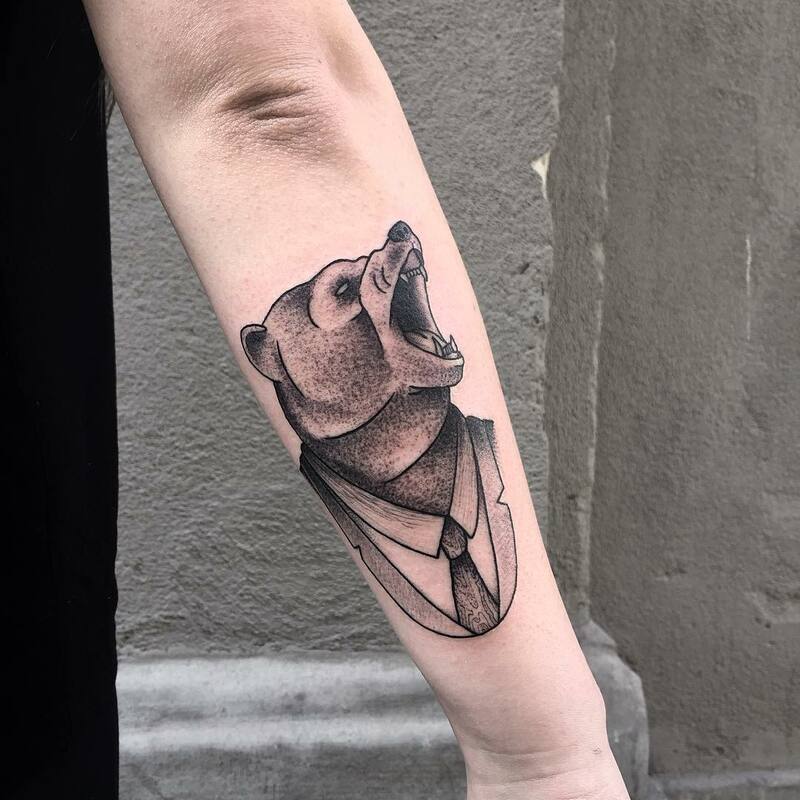 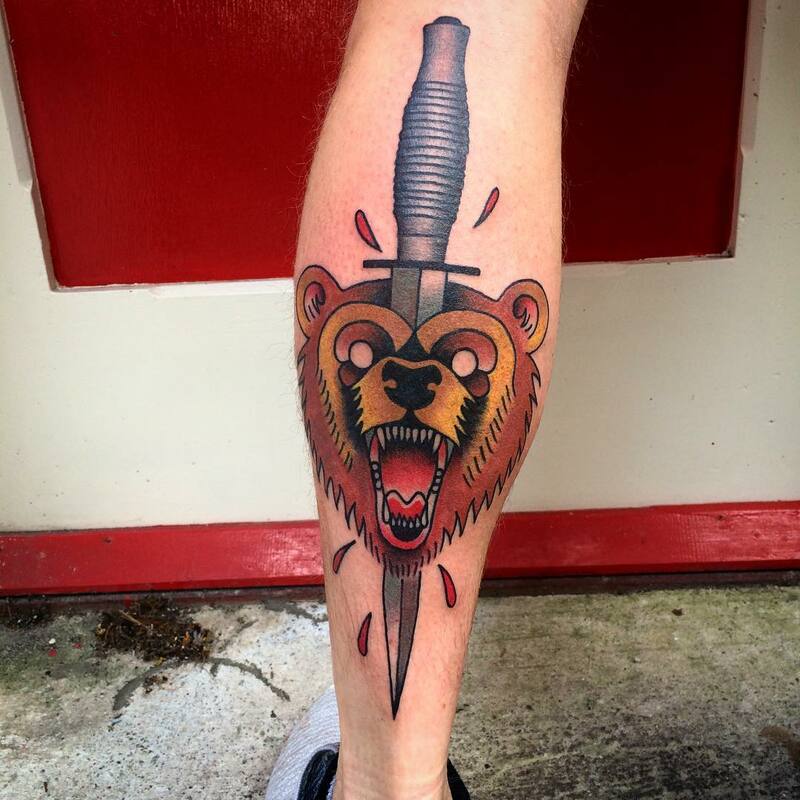 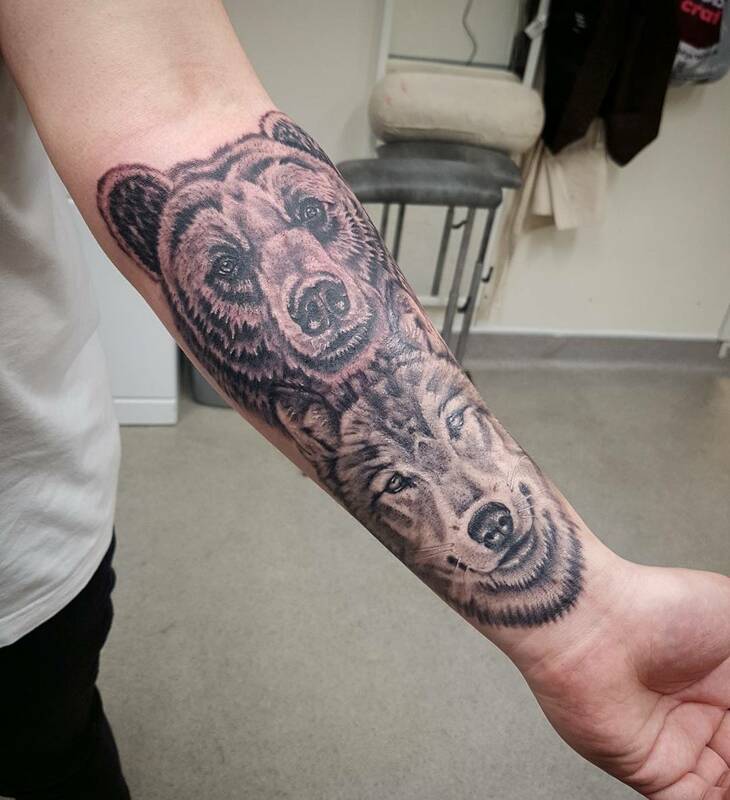 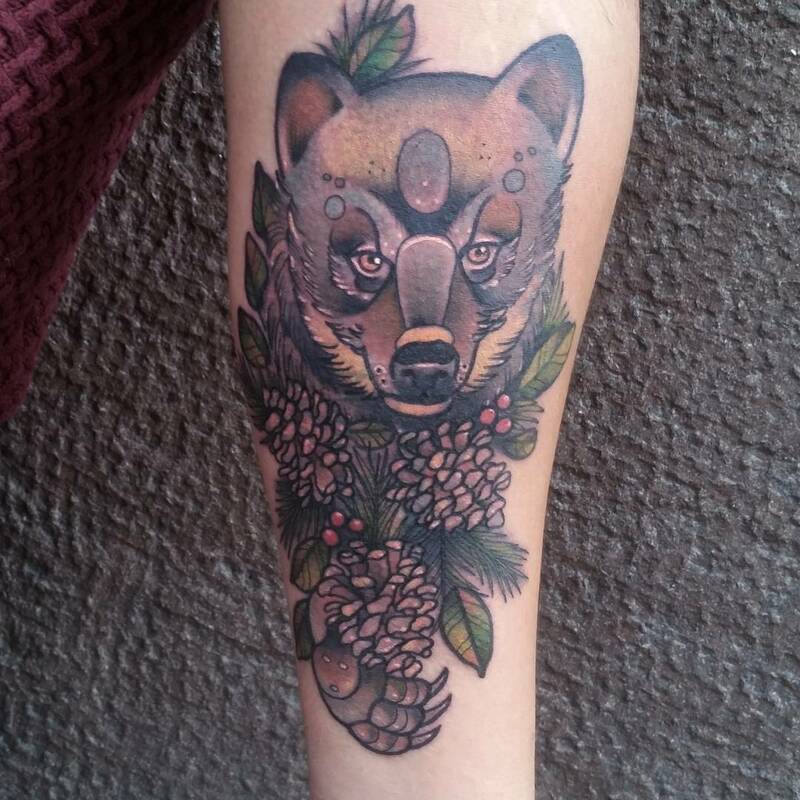 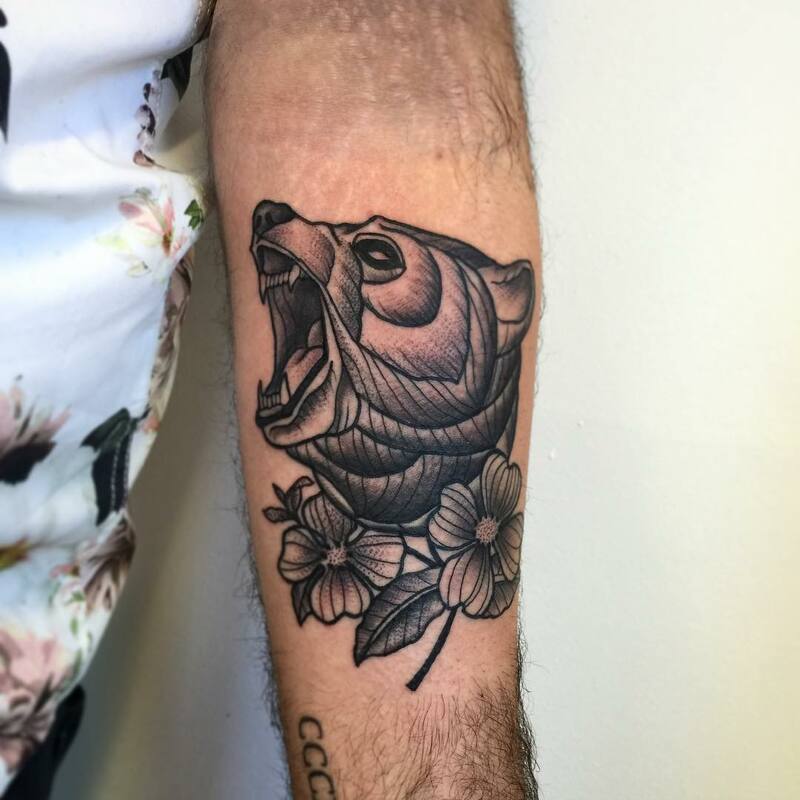 Bear tattoos look amazing and real in 3D designs. 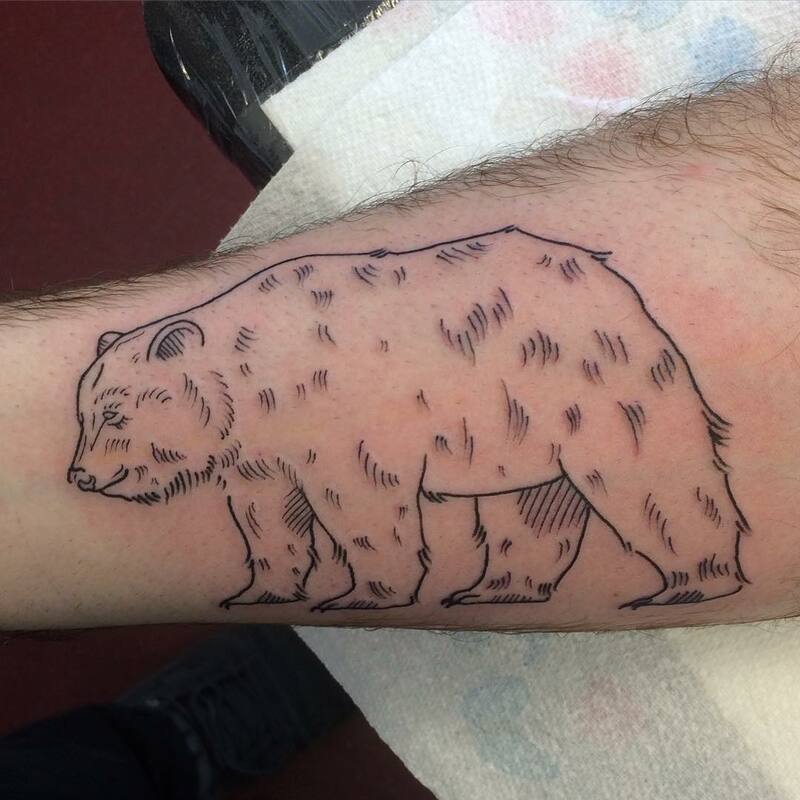 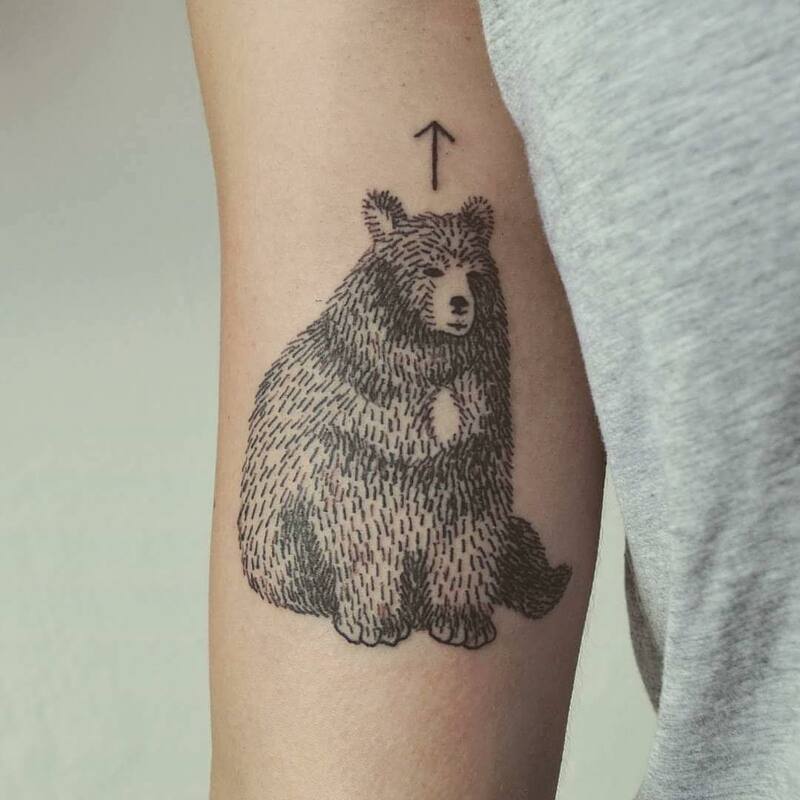 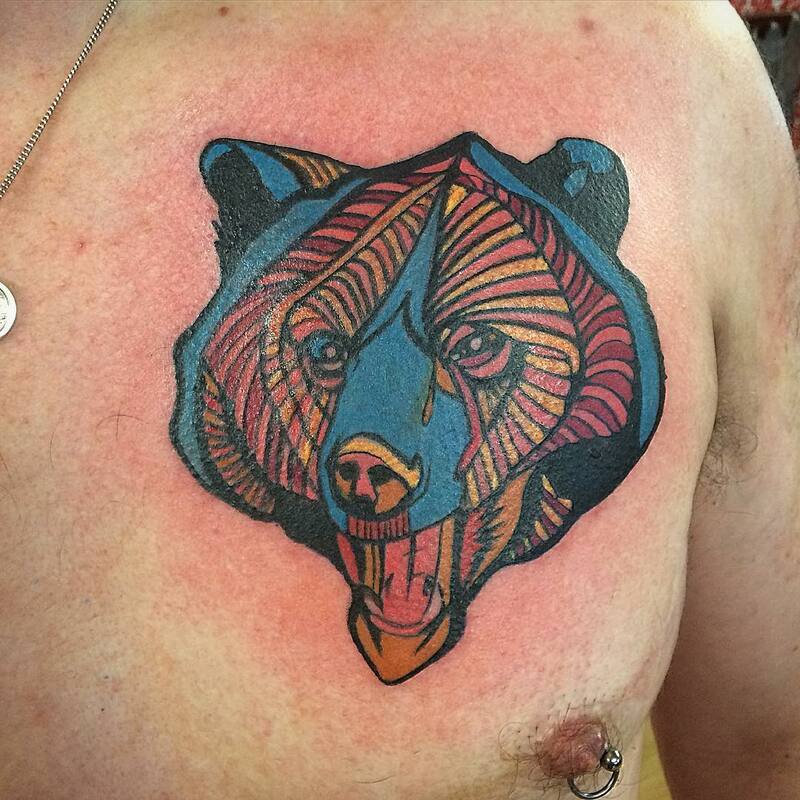 Bear tattoos can be worn mostly on arms, chest and back covering whole body part. 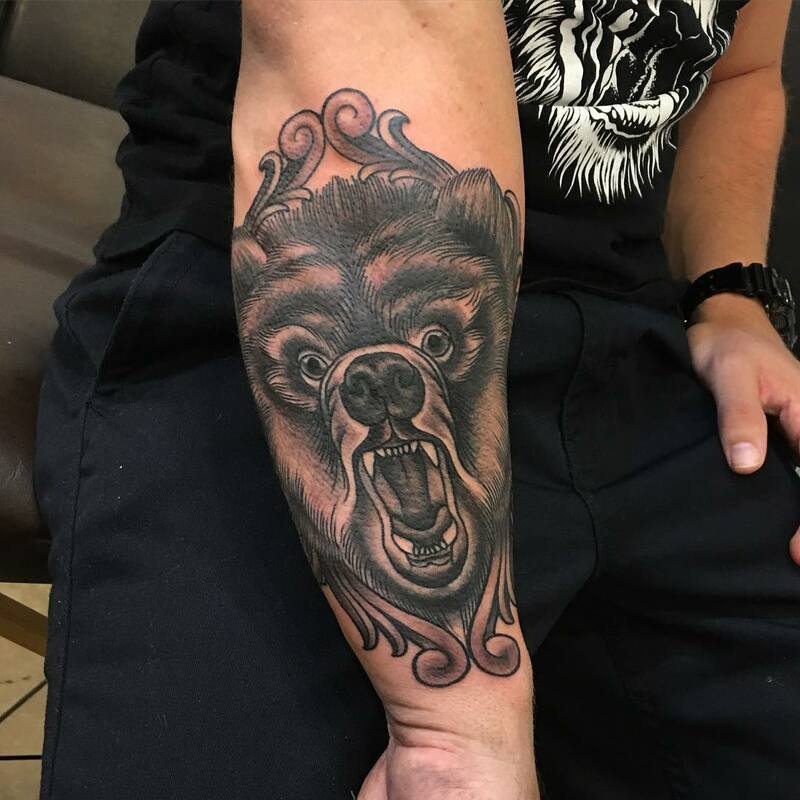 Bear tattoo designs are more suitable for macho men as they complement their personality perfectly. 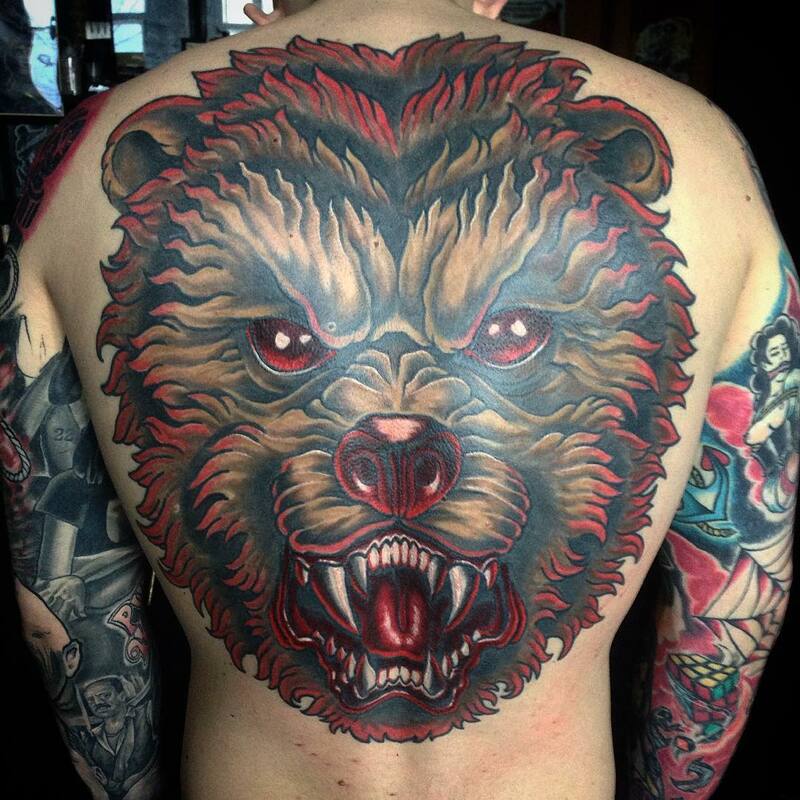 Body builders are sported wearing bear tattoos on arms or chest to display their strength and power. 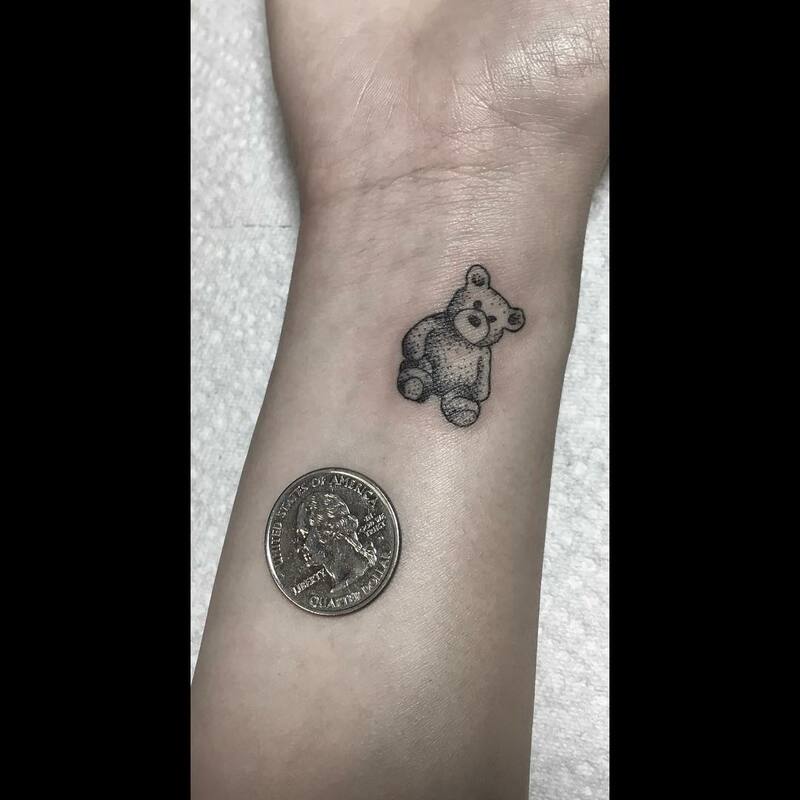 Girls, on another hand, choose for soft and cute looking teddy designs to express their love and affection for soft toys.